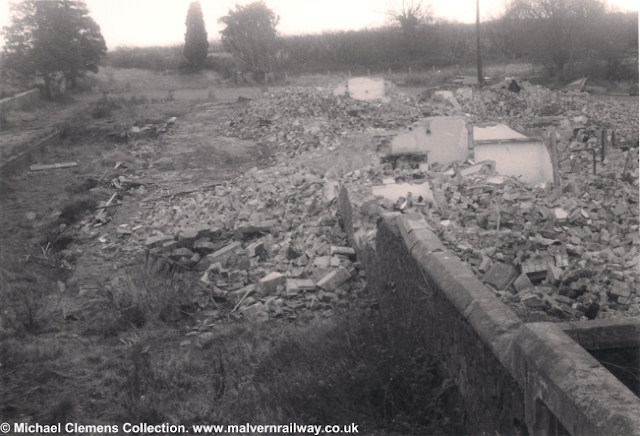 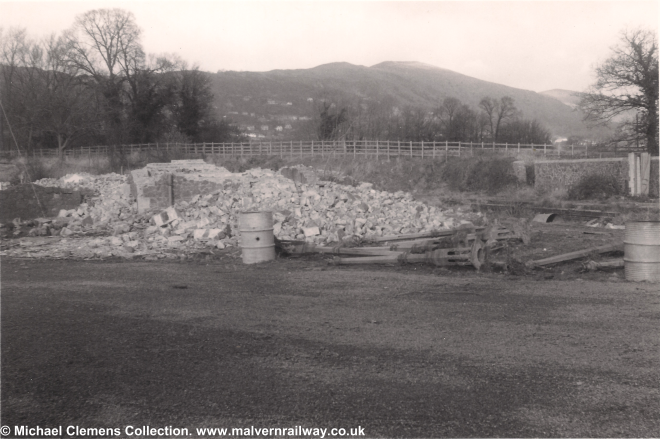 A few more pictures from Malvern Hanley Road Station this week, this time showing the station at the very end of its demolition. 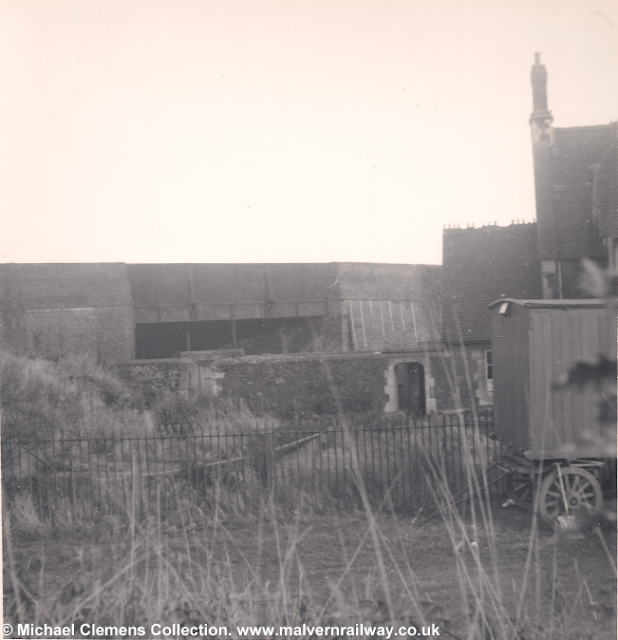 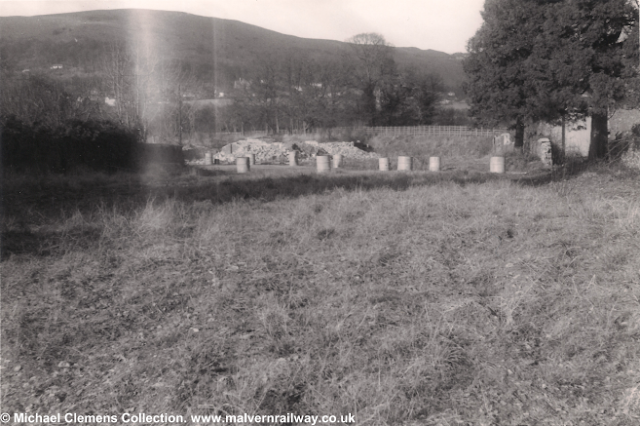 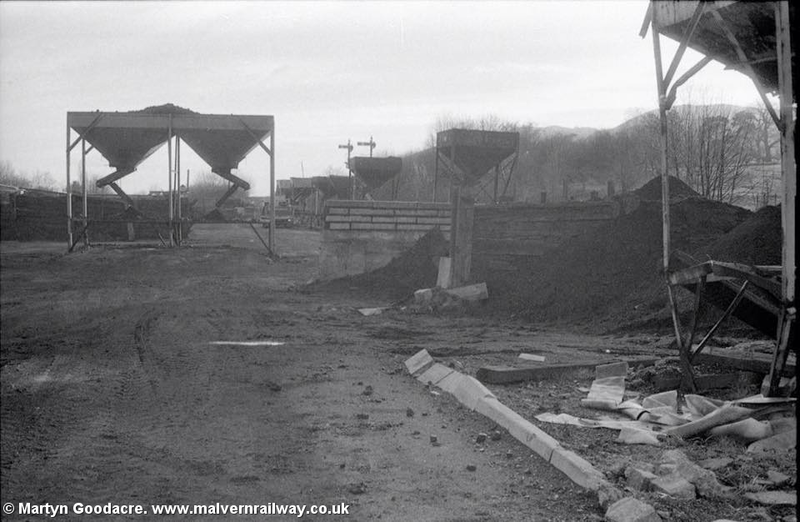 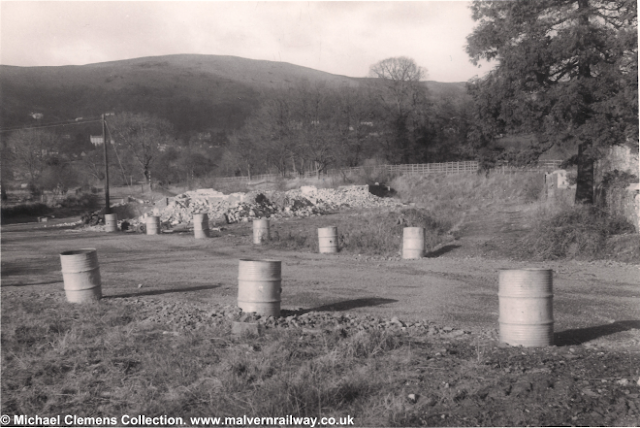 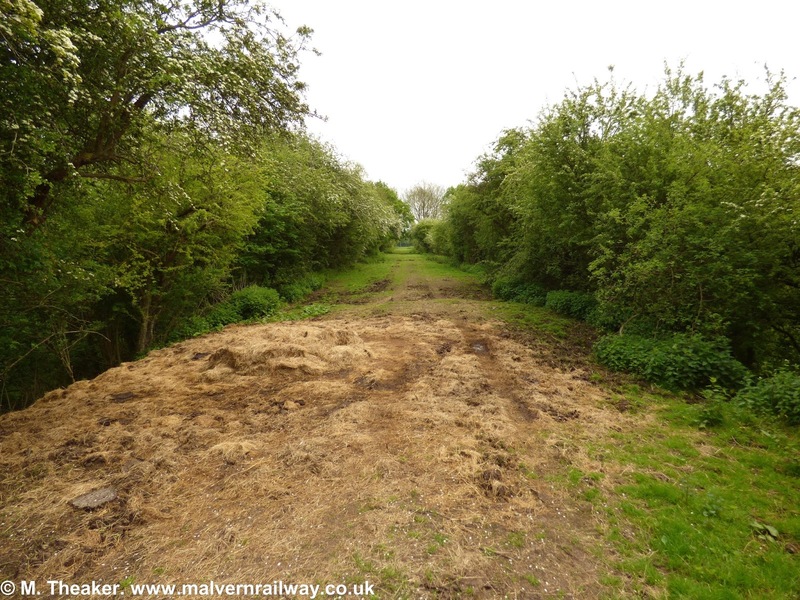 As these pictures show, Hanley Road had already been lowered by this stage and the original railway bridge removed, leaving the site fairly similar to how it looks today. 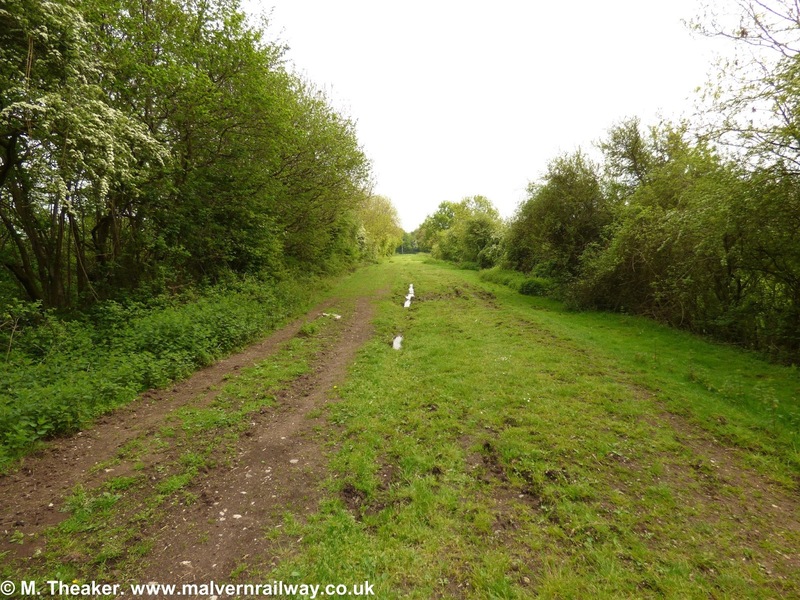 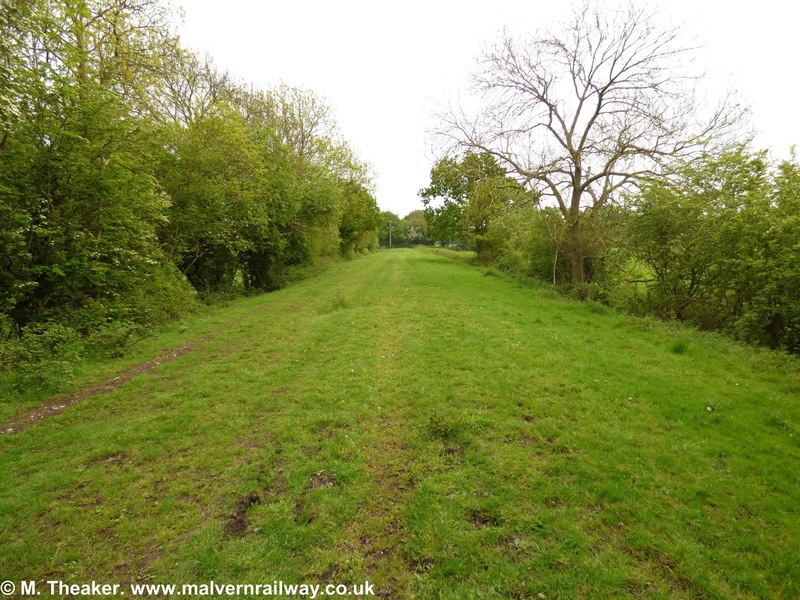 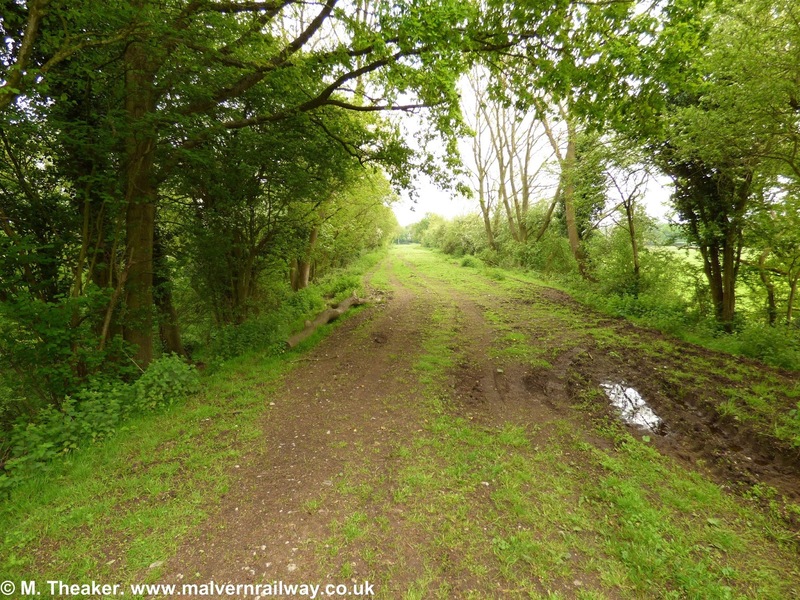 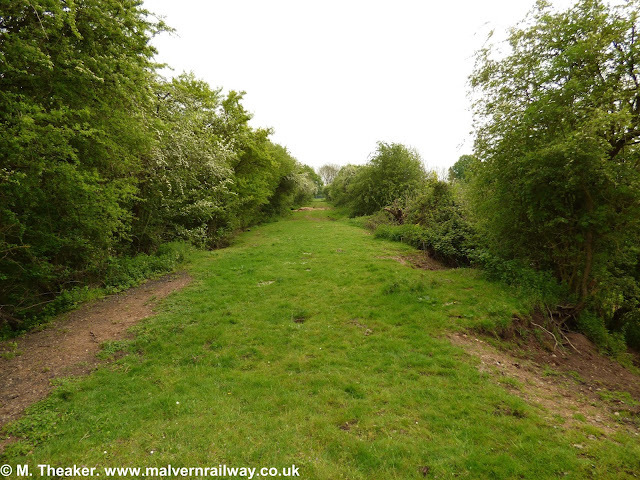 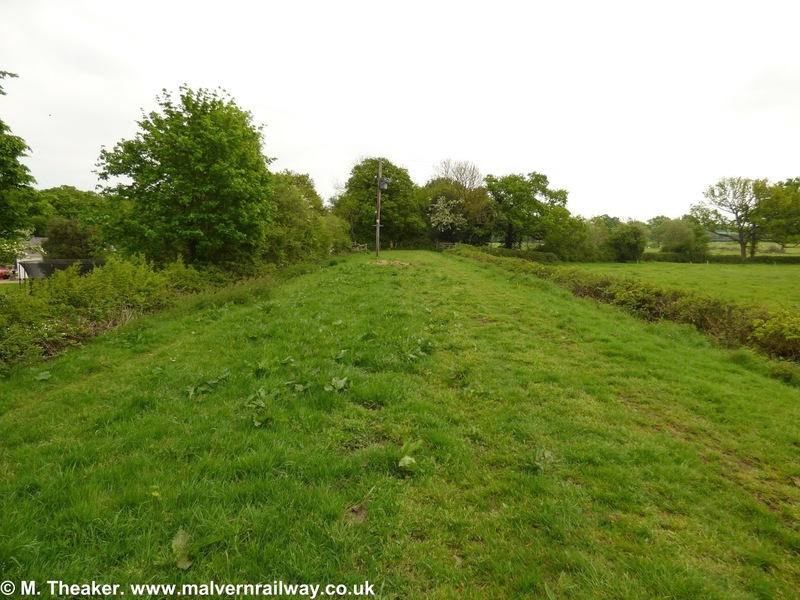 Once across the bridge at Gilver's Lane, the Malvern-Ashchurch branch ran along a gentle embankment to the north of Hill Court Farm. The section discussed here is the part of the route which today runs from Bridgecote to Brotheridge Green Nature Reserve, and thanks are due to Rob Pierce for letting me onto his land to take these photographs. Today, this section is a gentle 500m walk in an almost ruler-straight line. 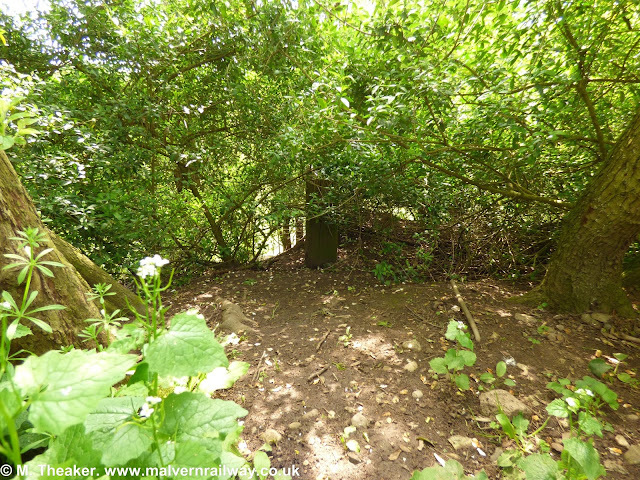 The site is little altered and the field is now used for grazing cattle; the only alteration of any note is an improvised ramp that has been carved into the raised ground to allow cows and vehicles access to the top of the embankment. 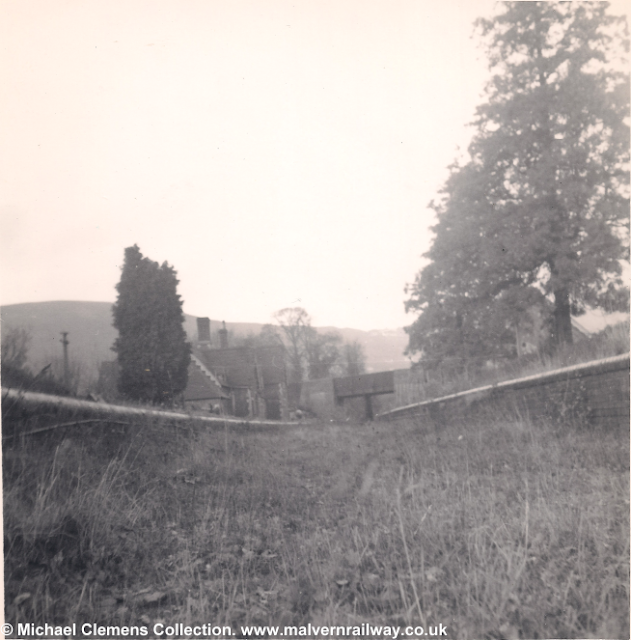 We start this section of the walk at the fence behind Bridgecote House on Gilver's Lane. 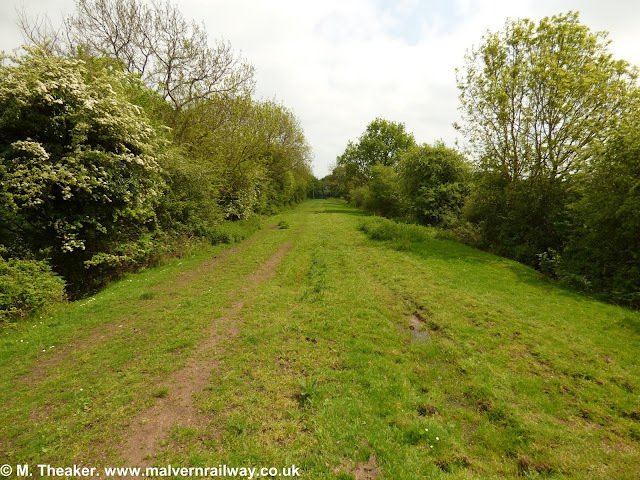 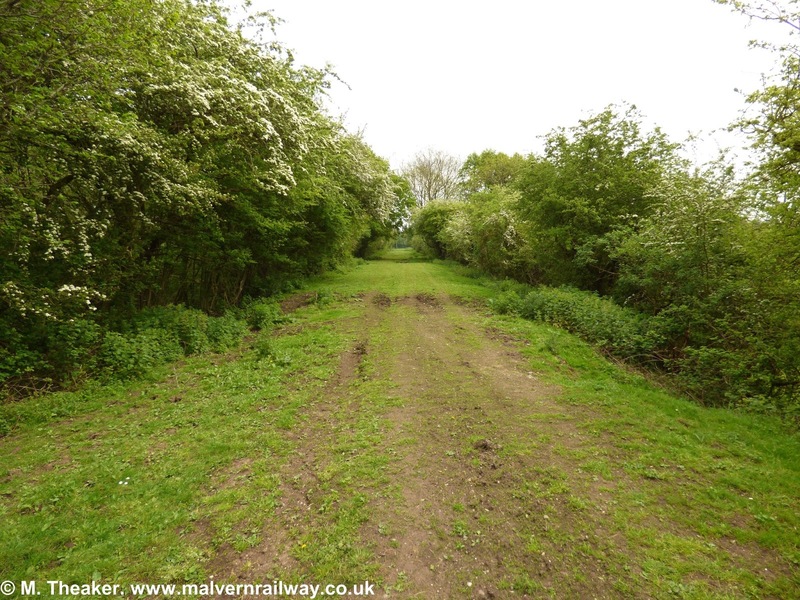 From here, we proceed east towards Upton, finishing at the western end of Brotheridge Green Nature Reserve. 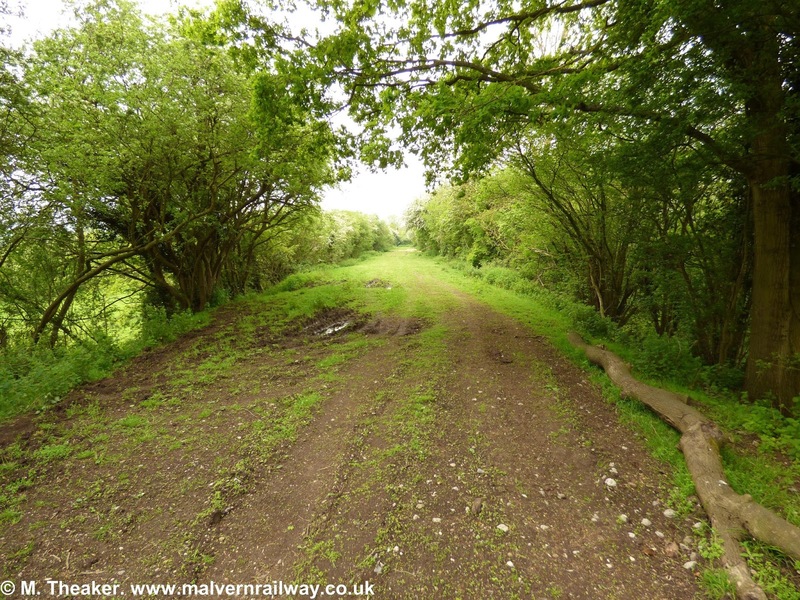 In truth, there is not much to report here, but this part of the old line is a very pleasant short walk in any case. The view east along the length of this section - the cattle ramp is just visible on the right. These pictures were taken in mid-May, producing a blossom-lined avenue. Looking through the trees here, you can see the gentle elevation of the old railway embankment. 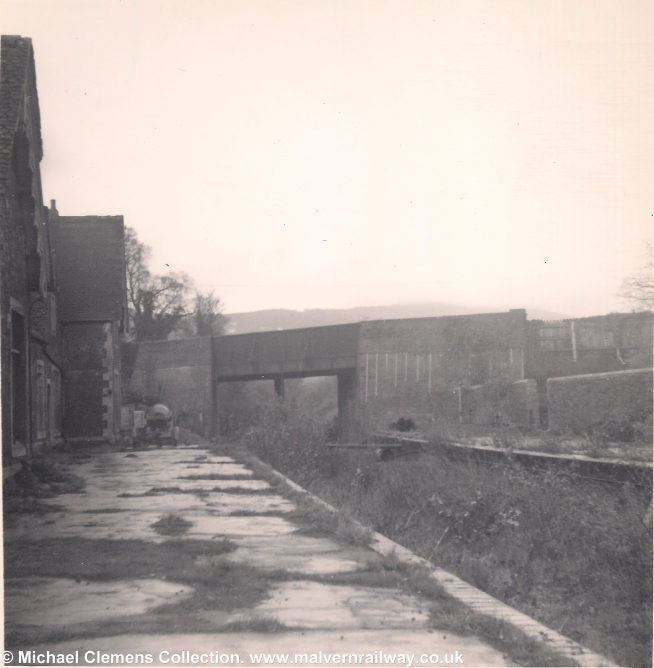 A quick look back westwards. Continuing east, the ground becomes a little more rutted, as you would expect from a working farm. A modern telegraph pole provides a distant visual marker for the end of the walk. 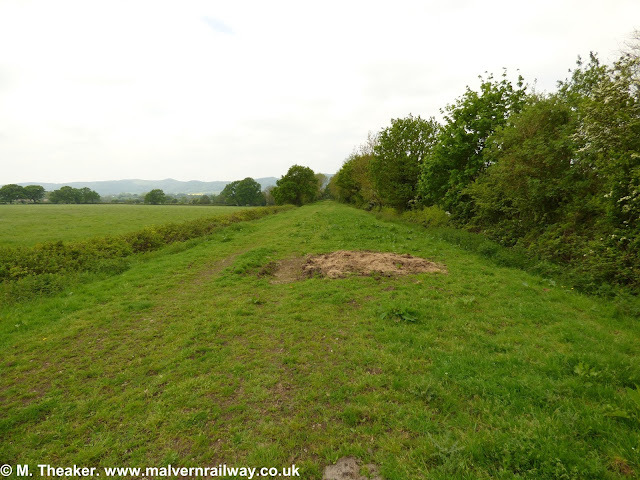 At this stage I found one remaining railway relic - the stump of an old telegraph pole buried in the southern tree line. Here the tree line slowly begins to give way to a more managed-looking hedge. 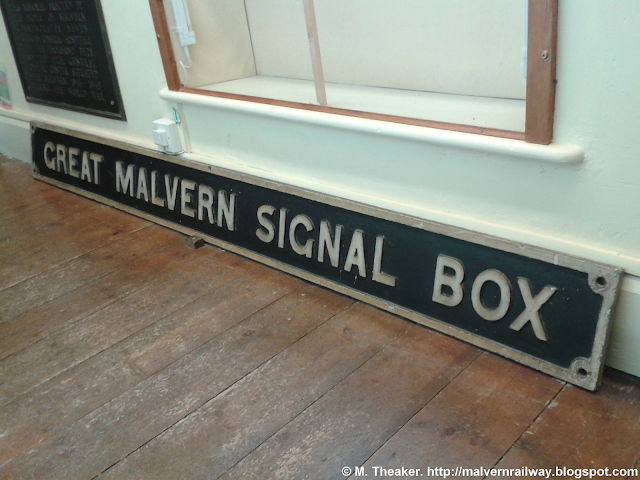 Turning around finally to look along the line towards the Malverns. 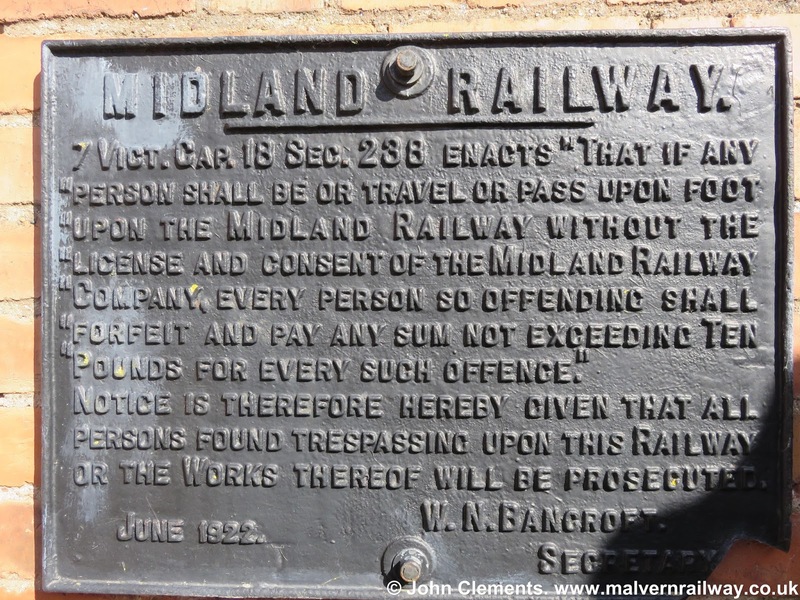 A slightly random assortment of miscellany this week as I again try to tidy up some of the contributions which people have sent me over the past few months! 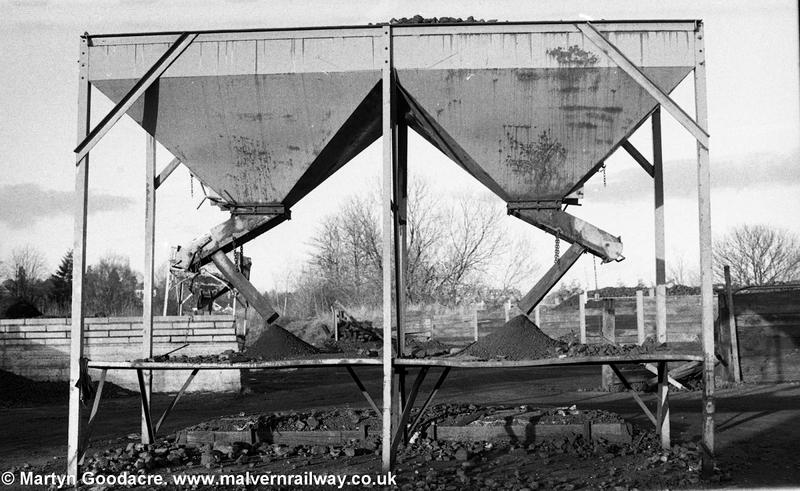 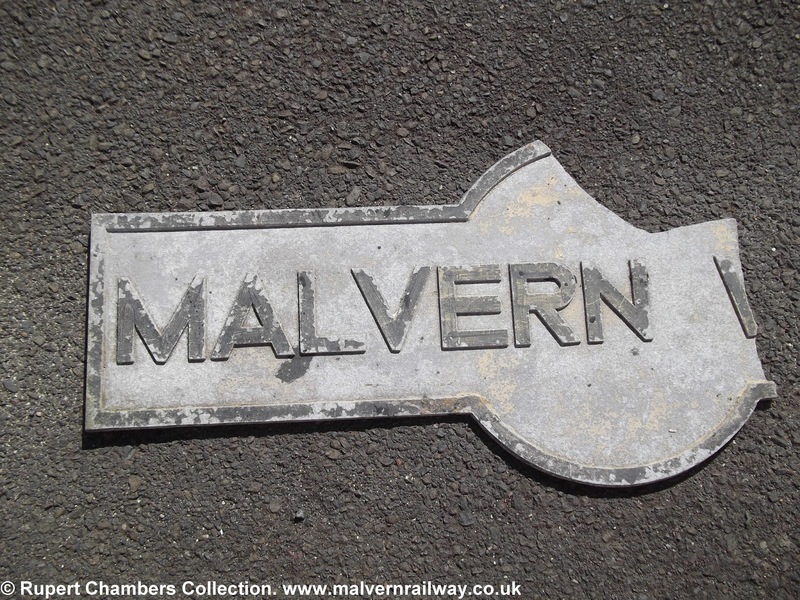 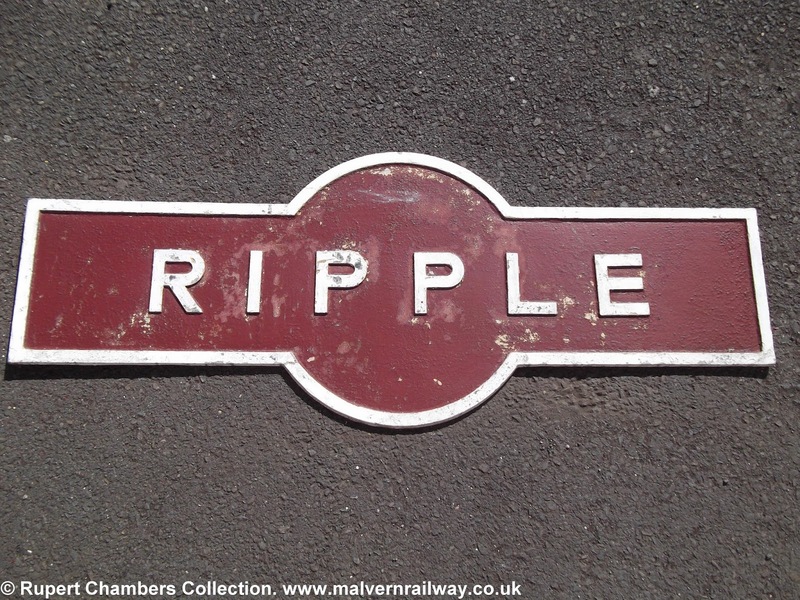 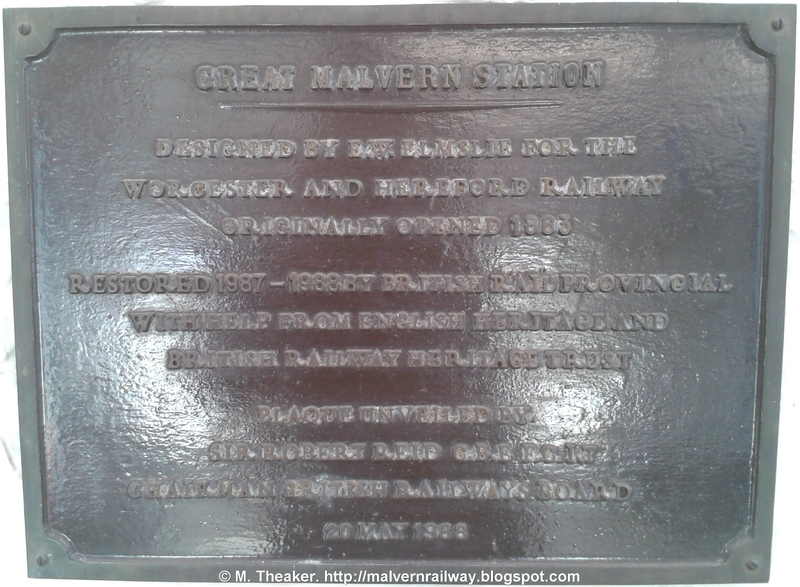 This week's post features some original signs from Great Malvern Station, a couple of shots of the old coal yard at Tewkesbury Junction on St Andrew's Road during the 1980s, two salvaged signs from Malvern Hanley Road and Ripple stations, and finally an original sign from the embankment at Pigeon House Farm. I've also got some wonderful recollections from John Clements, the farmer at Pigeon House, to share with you, so make sure to check out that page as well.